El Salvador suffers the highest homicide rate of any “peacetime” nation in the world. Rampant gang violence permeates every aspect of society, leaving many students afraid to walk to school for fear of recruitment and crossing gang territories. So why does literacy matter when kids and teachers are literally afraid for their lives? 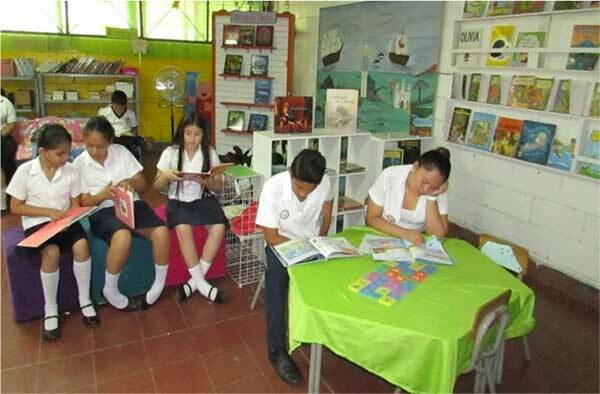 Can a school library and books really make a difference? Last Friday, it certainly did. Jennifer lay over the desks as second-graders huddled below, arms wrapped around knees, chatting nervously. They were accustomed to bullets, shoot-outs between rival gangs or gangs and the police. When the shooting ended, the director and teachers scoured the school to instate order. Parents began arriving to take their kids home. It was 9am. 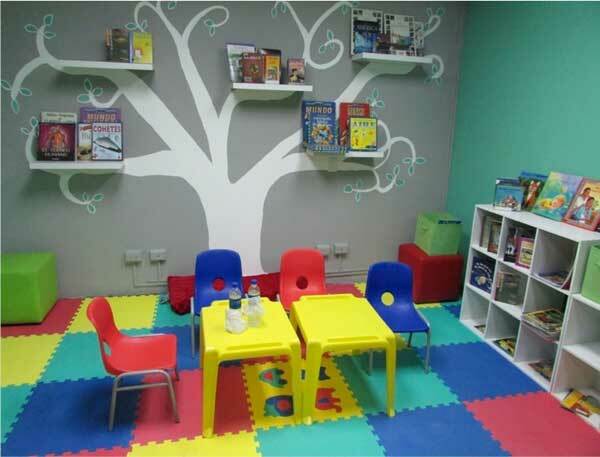 Jennifer and Enrique created “reading nooks”. Kids chose their favorite books. They sat quietly and in pairs. Jennifer read with Flor, a fifth-grader with bright green eyes. As they read, more and more children gathered around. They read a story about a girl who learned the ocean existed by seeing it in a picture. For days, years, this little girl couldn’t stop thinking of the ocean. As an adult, she finally visited the sea, wetting her feet in the waves she laughed and cried, her tears as salty as the water. Jennifer cried as she read. So did Flor. At 10:30, Jennifer and Enrique organized the teachers in a circle, improvising a literacy workshop based on the strategies we use in ConTextos. They started with breathing exercises. They listened to their breath. They held hands and felt each other’s pulses. They read the children’s book “The Queen of Colors” and talked about what color represents what feeling. They talked about what colors they each felt over the course of this day. And then they wrote. They wrote poems of colors and feelings and actions and fears. They borrowed lines from children’s stories to express hope and sadness. Then it was noon. By 5pm that night, Jennifer and Enrique were at home. Enrique curled in bed with his two small children, holding them close as he read them stories. Jennifer ate arroz con leche as she journaled reflections on the day. After a long day, they both found comfort in language, losing themselves in stories. Stories they read. Stories they wrote. Every day in El Salvador—like so many places in the world—kids are struck by violence. Learning to read, finding comfort and refuge in books, gaining access to words and learning to use language for expression… these are tools not only to survive, but to thrive. In the homicide capital of the world, literacy is a tool to combat violence. So kids learn that they don’t have to join gangs, or cross the border. Reading and writing are life skills not only to get a job, but to make sense of complicated surroundings. And when the surroundings are scary and insecure, books and story and language, well-facilitated conversations and safe-spaces in schools create lasting refuge. Debra Gittler is the Founder and Executive Director of ConTextos, and educational NGO based in El Salvador with the mission to transform the educational experience so students develop authentic literacy skills such as deep-thinking, analysis, interpretation and creativity. They provide teacher training, develop school and municipal libraries, and provide writing and literacy programming for incarcerated youth. See more at contextos.org.